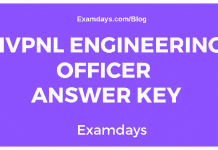 MPSC Subordinate Answer Key 2019 Released: Maharashtra Public Service Commission MPSC recruitment team conducted MPSC Subordinate preliminary exam on 24.03.2019 (Sunday) in Maharashtra State MP to fill the Non-Gazetted, Group – B (PSI, STI & ASO). Those who are given MPSC Subordinate preliminary examination on 24th March 2019, can check the complete prelims answer key from the official website of MPSC. The answer key will be available as per the Standard of MPSC rules and regulations of examination. MPSC Subordinate Mains Exam Date 28.07.2019, 04.08.2019, 11.08.2019, and 25.08.2019. The MPSC Subordinate and ASO services main examination to be conducted on 28.07.2019, 04.08.2019, 11.08.2019, and 25.08.2019. as per the schedule wise examination, prelims appeared candidates have to check the complete main exam date, which is given below. 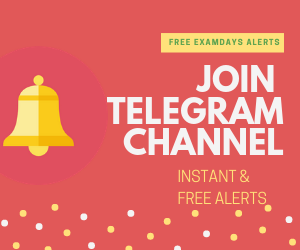 Those who are given examination on March 24th 2019, Can download the complete MPSC Prelims Answer key 2019. Candidates have navigate to the MPSC Answer Key Section, and select the appropriate answer key in pdf. Download PDF answer key material and download the accordingly. Once downloaded PDF answer key, check the secured marks. Verify the complete questions and answer accordingly. Those who have questions and doubts on MPSC prelims answer key, can raise the objections as per given stipulated time. Those who are submitting objections, can re verify the answer key as per the question level. Comment below with secured marks for the cutoff marks analysis purpose, those who have gave examination successfully, can check the today secured marks in the MPSC Prelims marks.